...is a performance installation involving the erosion and eventual destruction of a text through the eating, reading and breathing of this text in machine formation. A live response to this sensory feedback of erosion and destruction is typed in situ as part of the performance. This piece forefronts the corporeal labour involved in practices of text production and consumption, playfully exploring the power dynamics of language creation in relation to the controlled working system of a factory. Perversions of Paper for Birkbeck College, University of London (June, 2014). 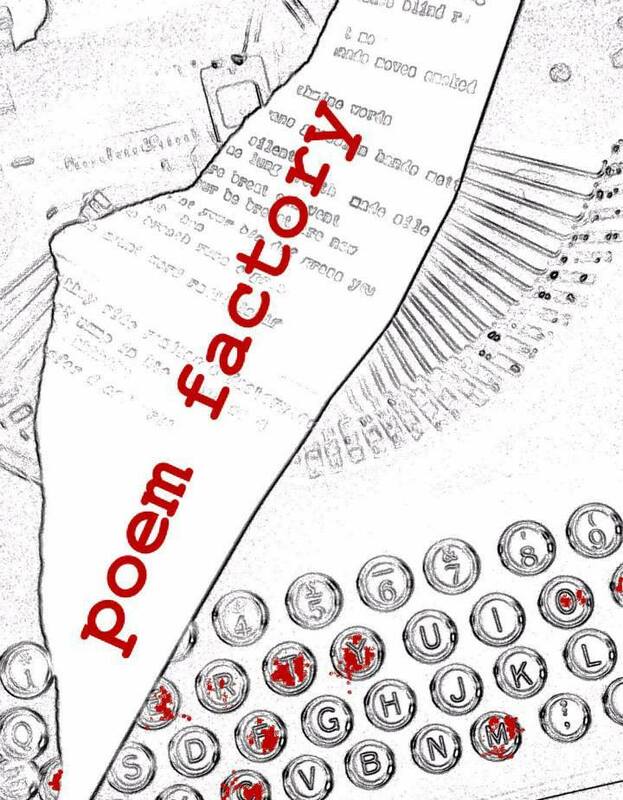 If you would like a Poem Factory performance installation or a Poem Factory workshop to be part of your event please get in touch by emailing info@singingapplepress.com or click on the envelope at the bottom of the site. WE ARE ALWAYS LOOKING TO EXPAND OUR WORKFORCE!